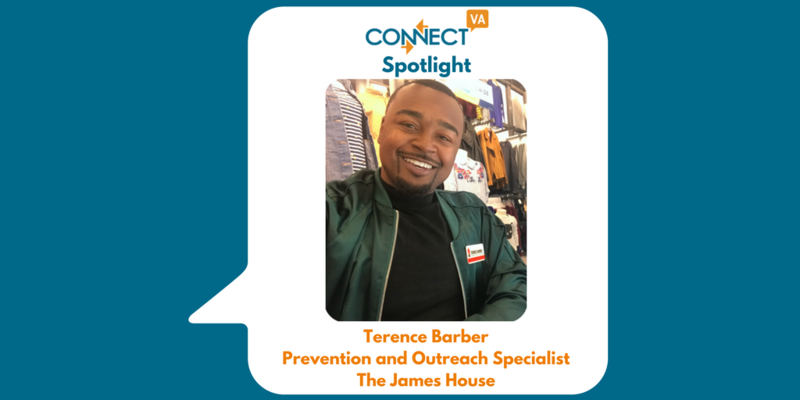 My name is Terence Barber and I am the Prevention & Outreach Specialist for the James House. I have a B.A. in Mass Communications and a M.A. in Media Management from Virginia State University. Prior to starting this position in February, I worked with citizens in the community and helped connect them to resources that would assist them in becoming self-sufficient. I also planned community events and connected with other organizations to help provide services to those clients. 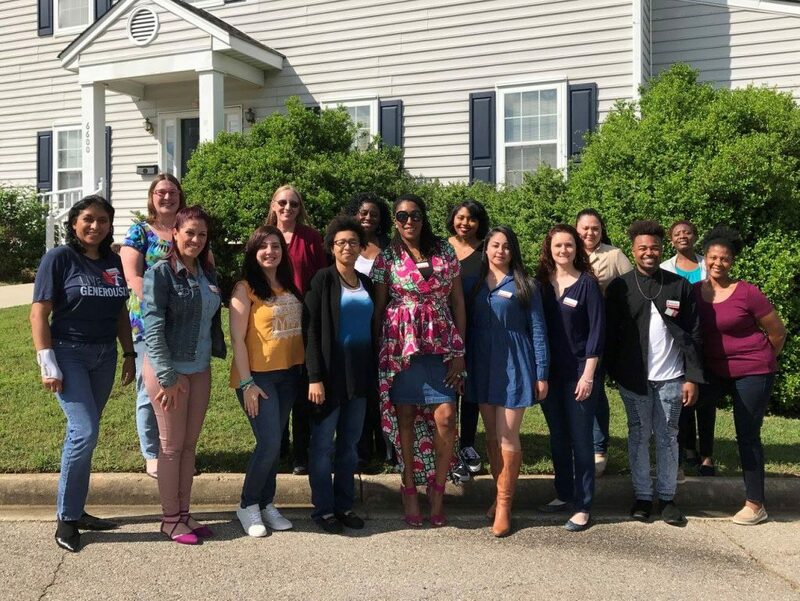 The James House provides support, advocacy and education to people in the Tri-Cities area of Virginia who are affected by sexual violence, domestic violence, and stalking. I go to community events and raise awareness about the free services that James House offers. I also work with the youth and provide prevention services to promote healthy relationships, coping and more. The staff of The James House on “Denim Day” 2017. The most rewarding thing about my work is being able to help change people’s lives. With outreach, I help change people’s lives by raising awareness of the services that are offered by James House. There are people who may need our services but are not aware that they exist. With prevention, I help change lives by teaching the youth different ways to handle situations they may encounter. A major challenge that I have faced in my role is getting schools to collaborate with the prevention program offered by James House. I handle this challenge by working with other programs that have youth. What’s one misconception the public has about your organization? A misconception that some people have about the James House is that we only serve women and children. We actually serve men, women and children. Often, people don’t acknowledge that men experience domestic and sexual violence as well. ABOVE: Over the course of 2014, The James House celebrated their 25th anniversary by sharing 25 stories for 25 years, releasing a new story every other week. All of these stories led up to the reveal of their 26th story at the end of the year. To learn more about The James House’s support groups, call (804) 458-2840 or email helpline@thejameshouse.org. I am looking forward to executing different sessions of “Do YOU,” a prevention curricula. “DO YOU” addresses youth violence, dating and sexual violence, sexual harassment, and bullying by confronting its root causes and enhancing protective factors (also referred to as building resilience) to promote positive development and healthy relationships for 13-16 year old’s. The UnCurriculum (the facilitator’s guide for DO YOU) uses primary prevention principles and creative expression in a strategy intended to prevent violence before it starts. I’m excited because of the things it will teach the youth. Do you have any exciting collaborations or partnerships in the works? We are collaborating with the police departments in several localities within our service area to execute the Lethality Assessment Program (LAP). The purpose of LAP is to connect victims to life-saving and community-based services. LAP is an innovative strategy to prevent domestic violence homicides and serious injuries. It provides an easy and effective method for law enforcement and other community professionals—such as health care providers, clergy members, case workers, court personnel, and even bystanders or family members—to identify victims of domestic violence who are at the highest risk of being seriously injured or killed by their intimate partners, and immediately connect them to the local community-based domestic violence service program. I’m excited, because of the lives it saves. ConnectVA allows us to connect with other service providers and promote our services in the community. I look forward to working with providing more services to our youth.